Although Google announces major changes and features introduced in Google+, there are many interesting ones which gets shadowed from the spotlight. 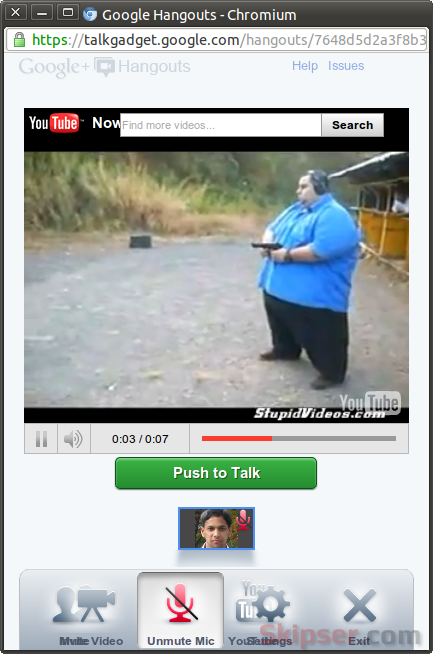 One such feature that went unnoticed is being able to start a Google+ Hangout from Youtube. That means you and your friends can watch a Youtube video on a hangout together and at the same time, gauge reactions or talk about it as you are watching. How to start a hangout. In order to start a Hangout from Youtube, you must be logged into Google+ and Youtube at the same time. Once logged in, select the video you want to watch in Youtube page and click on the "Share" button just below the video. This will bring up a box with the direct link for the video along with a "Start a Google+ hangout" link in the bottom right. Click on the link and a new window will pop-up starting a hangout. You can add circles or individuals to share the hangout with, check your hair and microphone and click on "Hang Out" to start the hangout. The video will start to play and the hangout will appear on the stream of the people whom you have shared it with. Google+ will initially mute your microphone when the video starts so you can watch the video without accidentally speaking over it. Of course, you an un-mute at any point. After the video is over, you can continue hosting the hangout as usual. You can listen to your friends reactions, share your thoughts and even watch the video again if you choose to. All features such as settings, invites, chatting everything works just the same. When to use a Youtube hangout. There are many occasions where Youtube video in a hangout can come handy. If you want to conduct an on-line class or a presentation, you can easily make a Youtube video of the presentation and use a hangout to bring it to your audience. Along with watching it together, the participants can ask questions any time and you can choose to answer them pausing the video. You can even watch that live soccer match Youtube is streaming along with your friends. Besides watching, you can even scream, shout or brag together - almost as good as watching it together in real life. 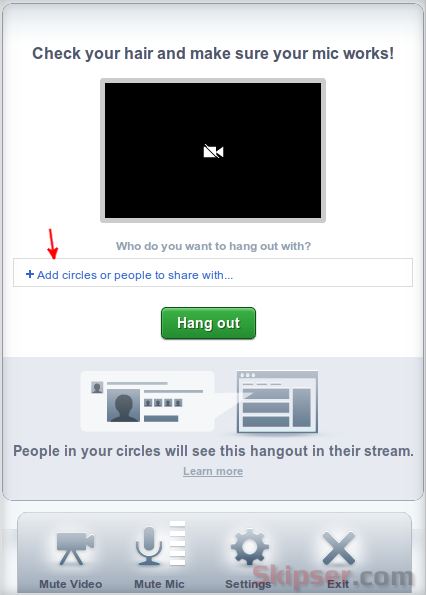 So try out sharing a video on a hangout with your friends or watch this Google video on hangouts. Have You Seen Youtube's New HTML5 Video Player? Angry Birds Come Alive at Barcelona.